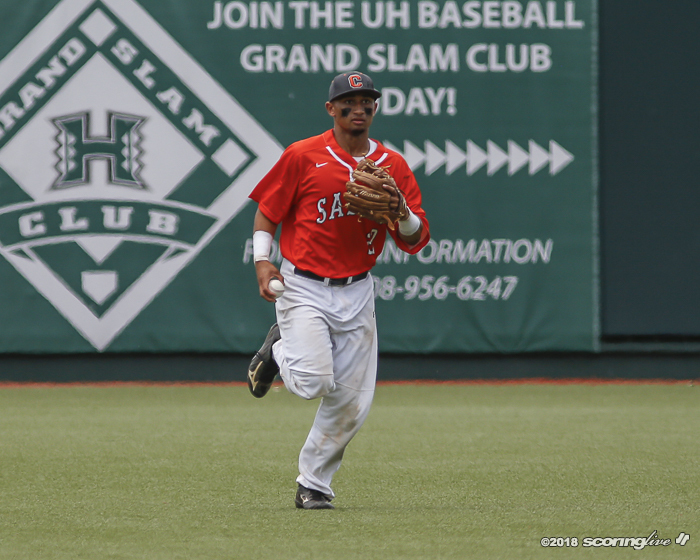 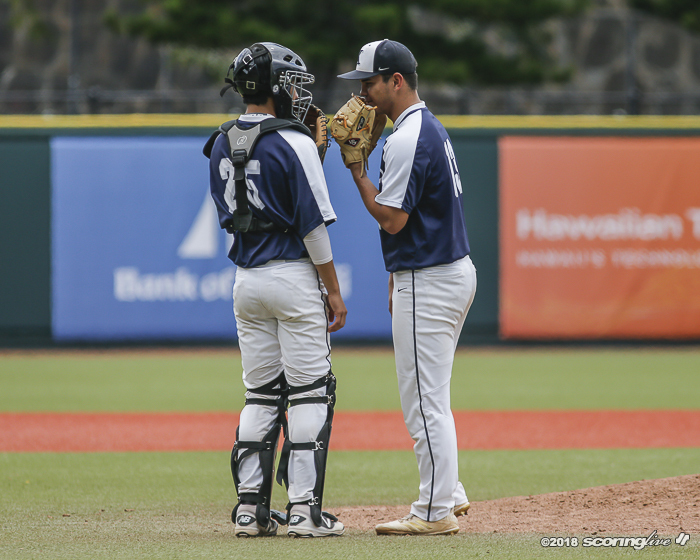 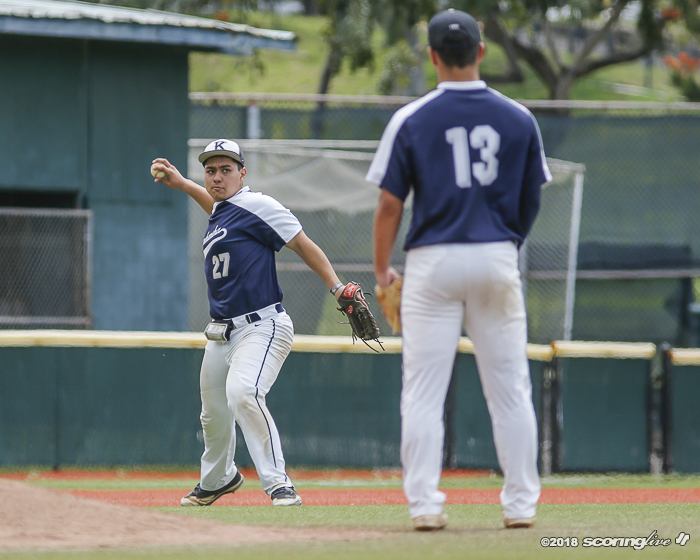 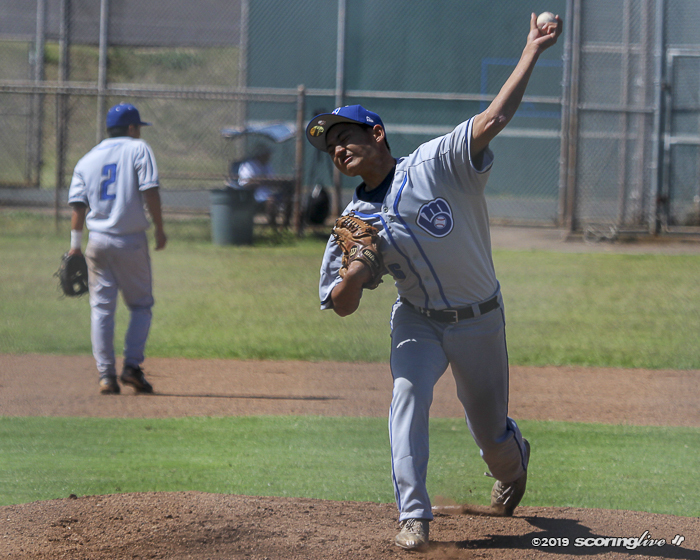 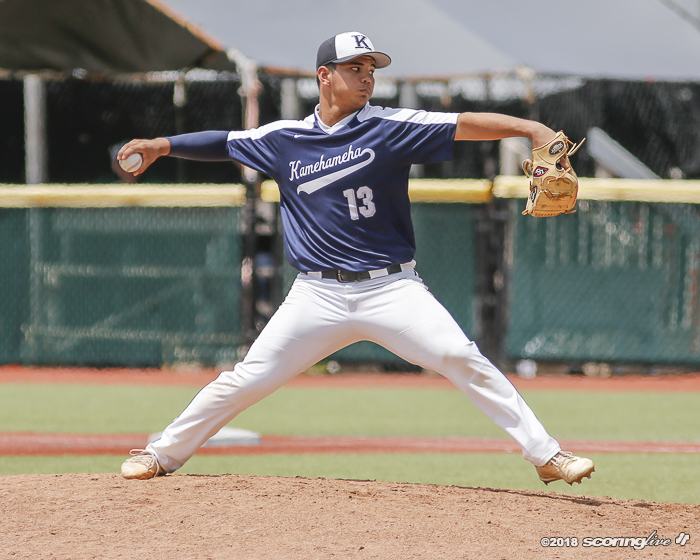 MANOA — Left-hander Ayzek Silva pitched a three-hitter and No. 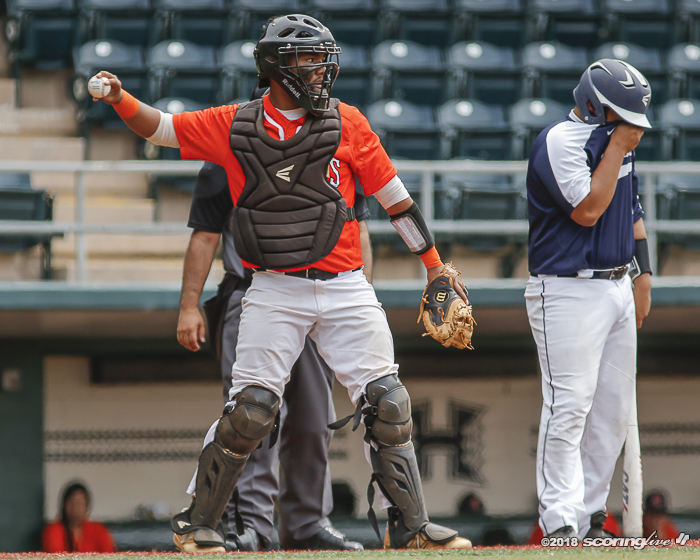 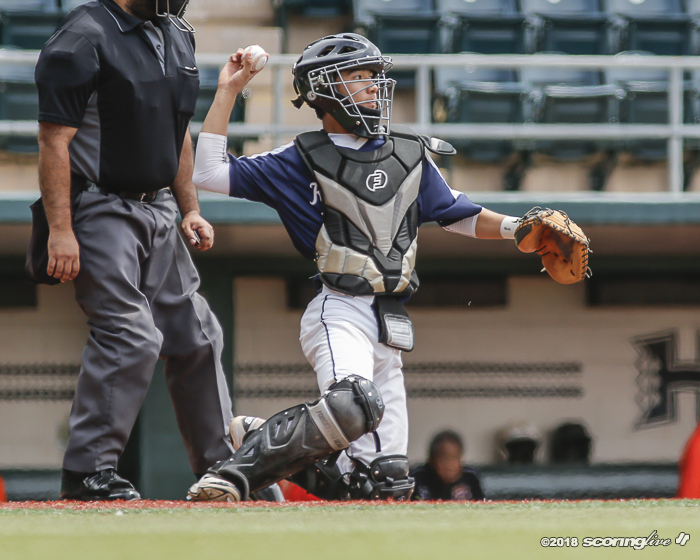 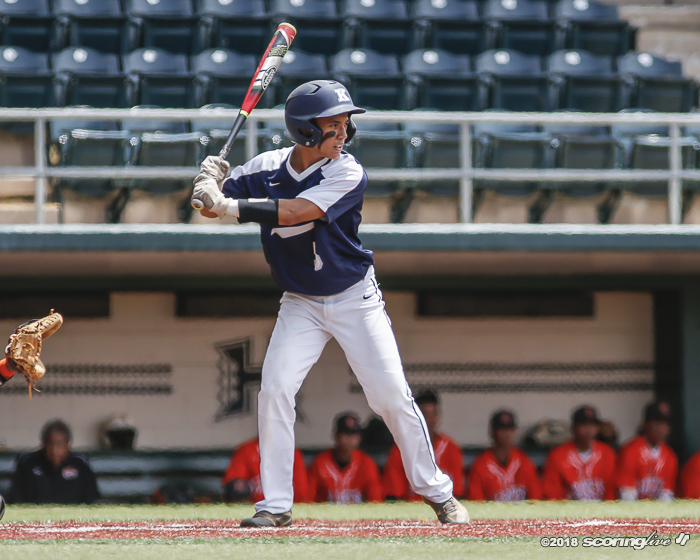 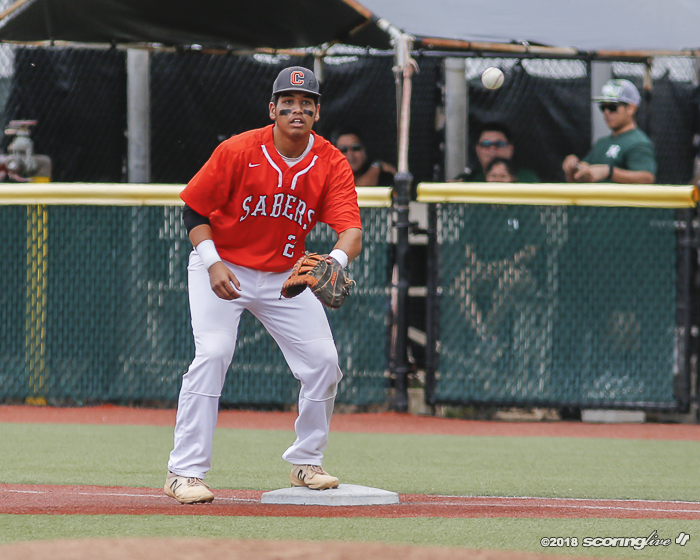 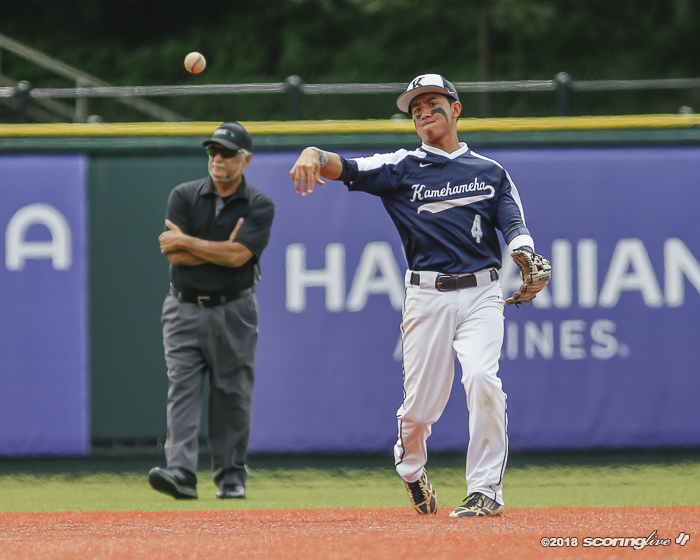 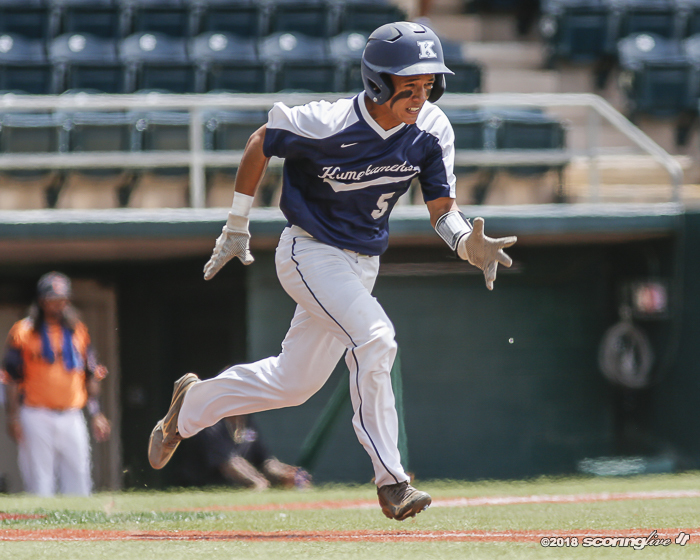 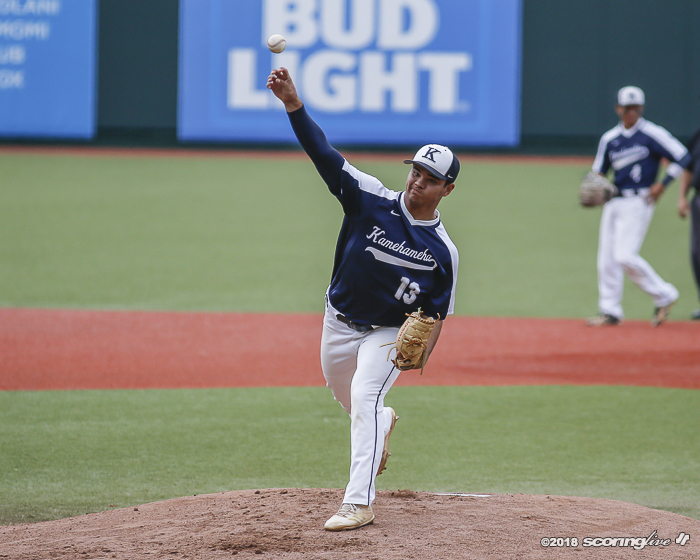 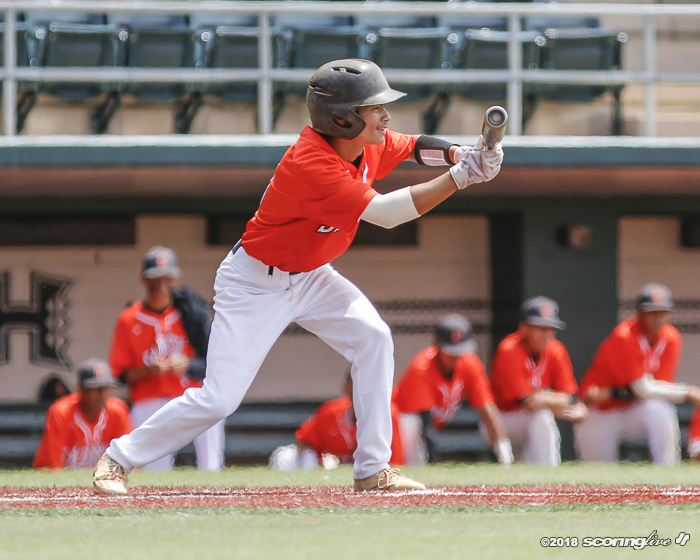 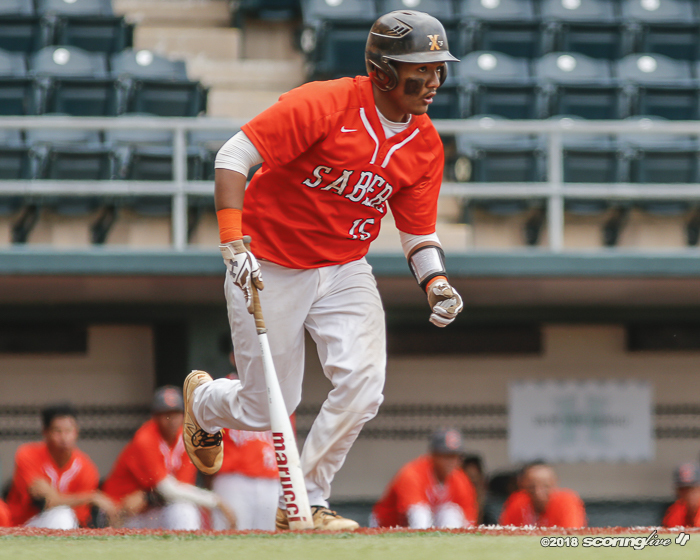 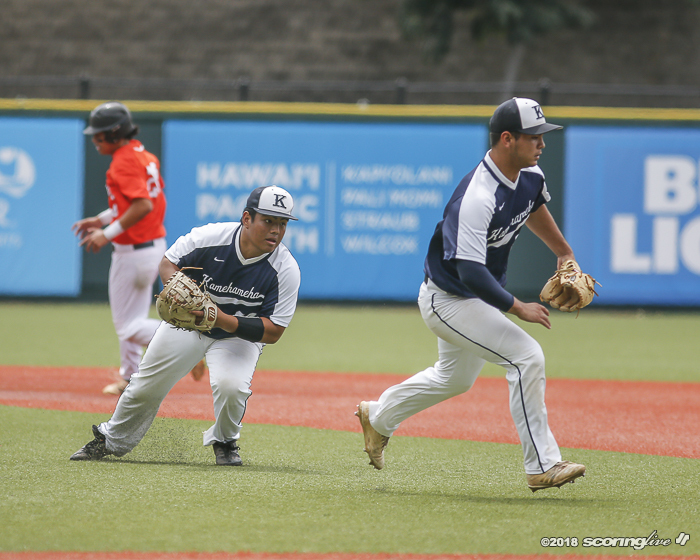 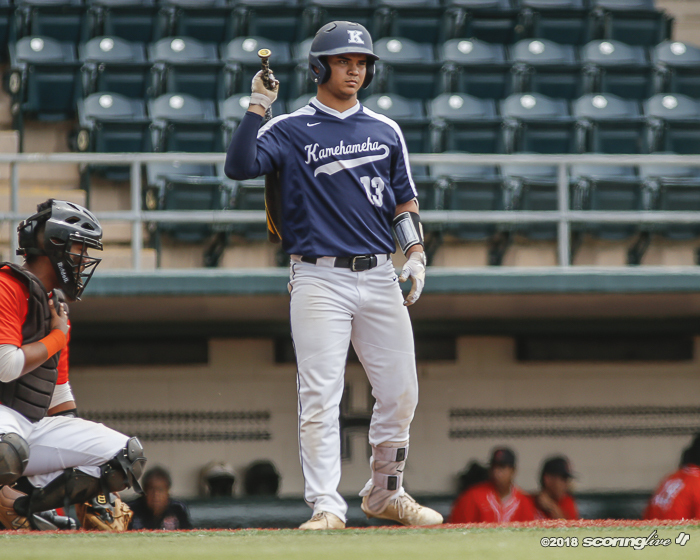 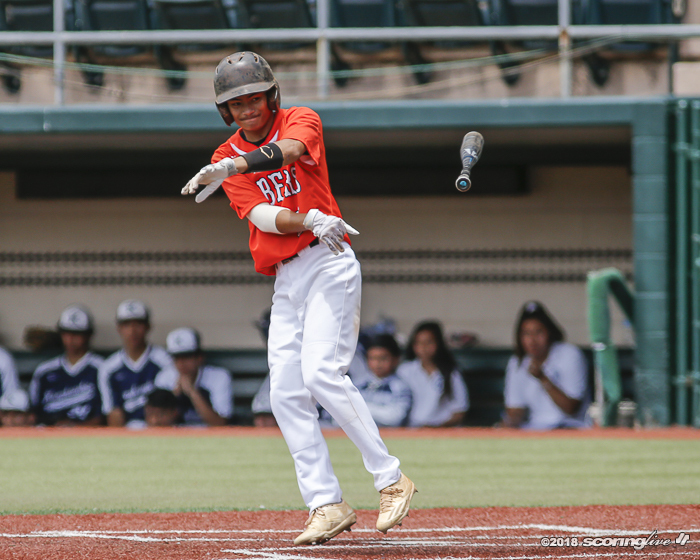 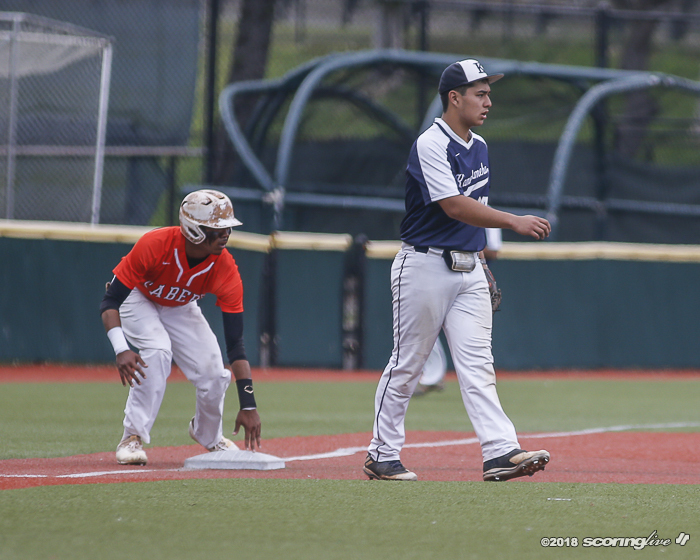 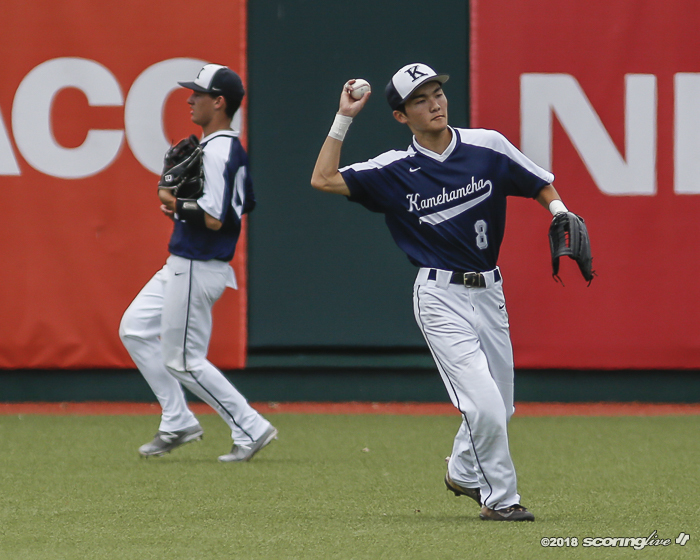 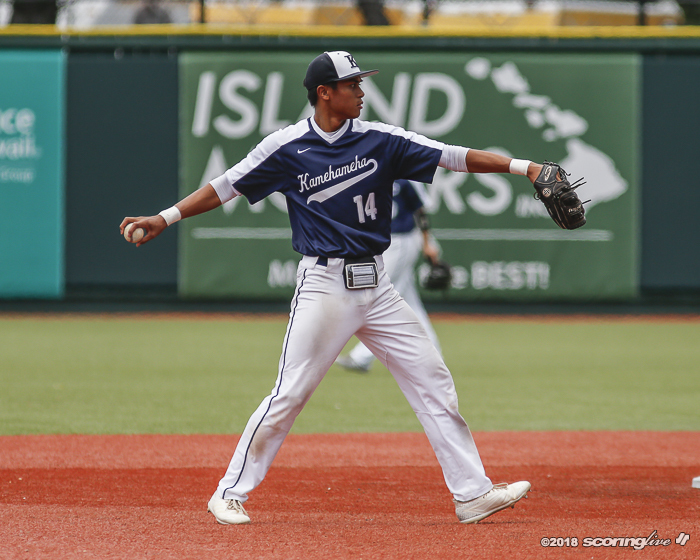 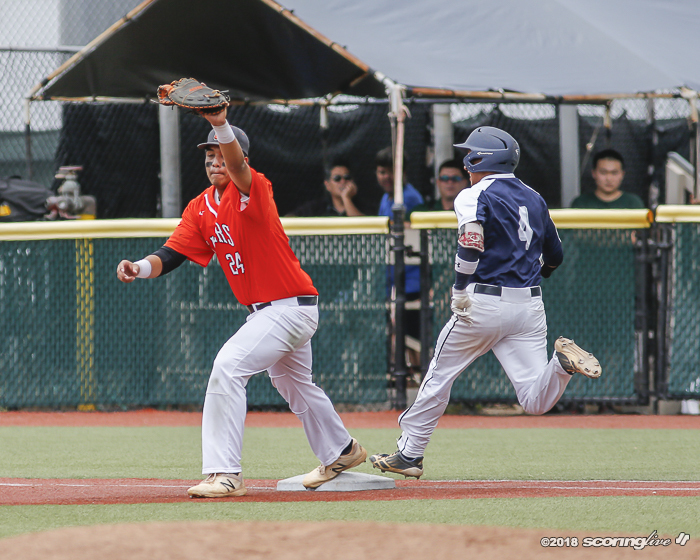 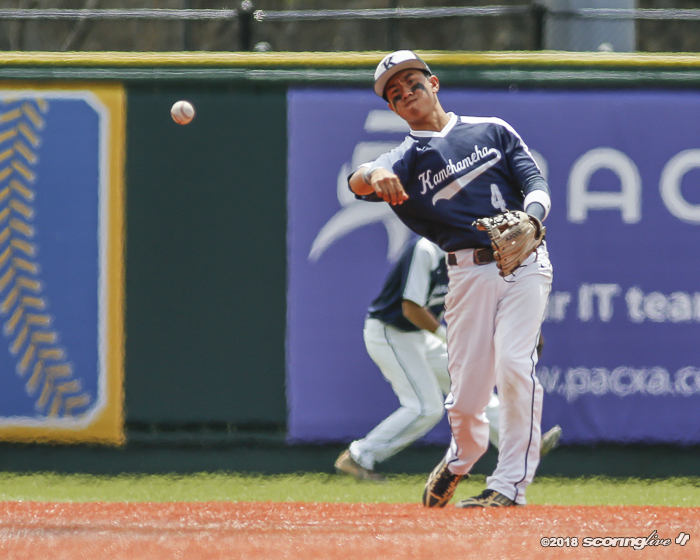 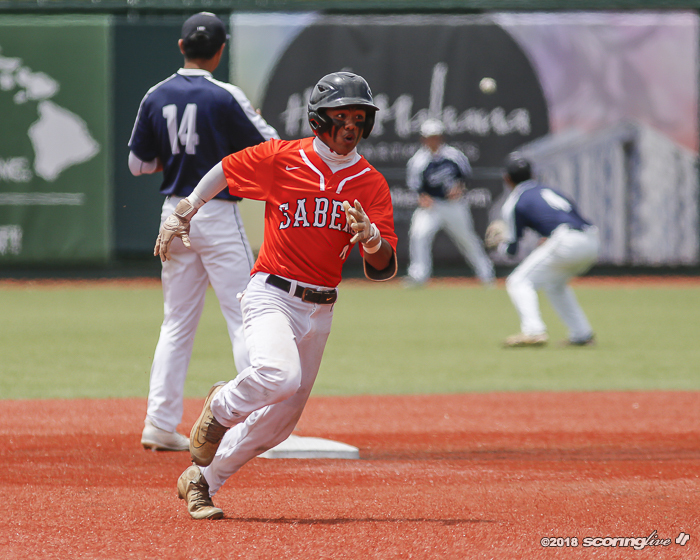 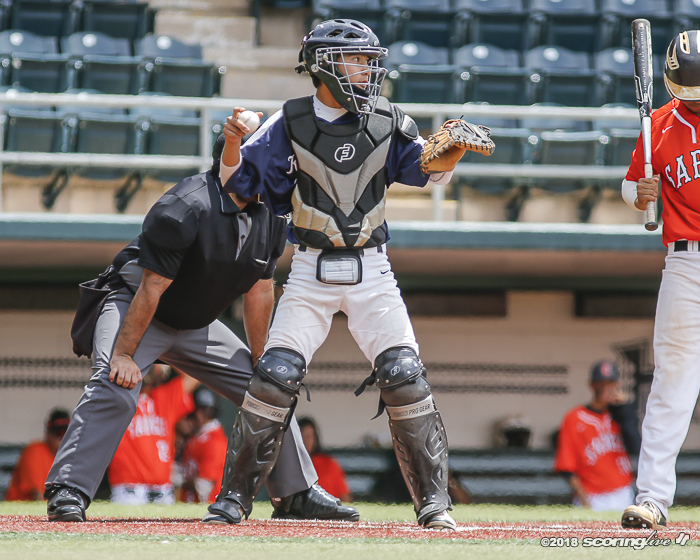 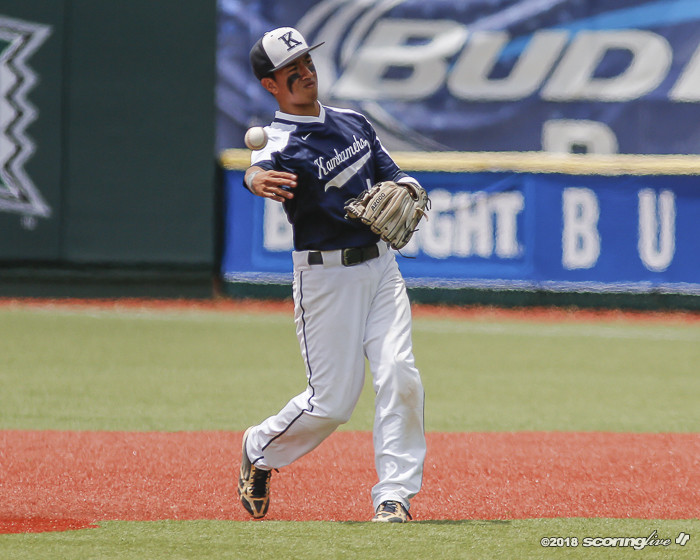 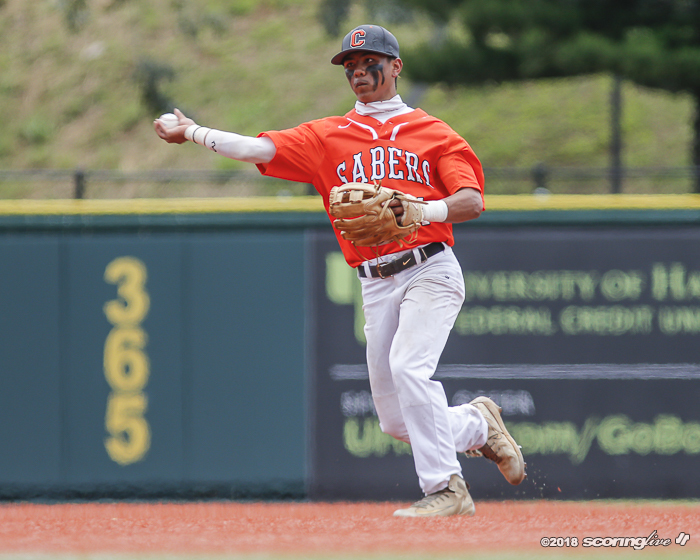 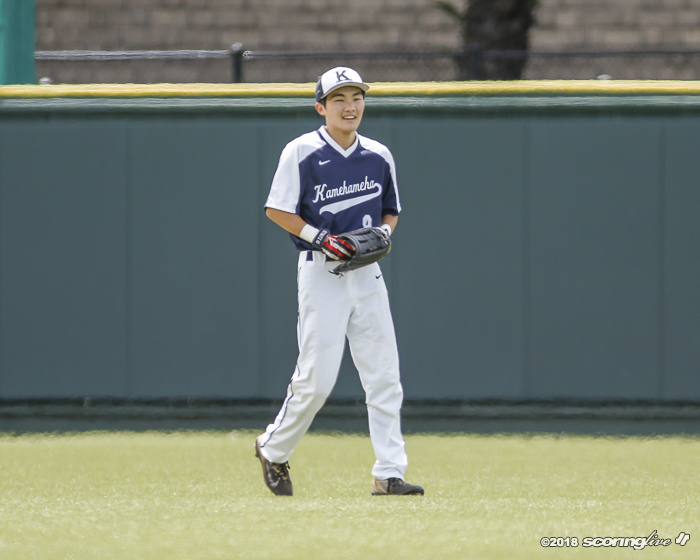 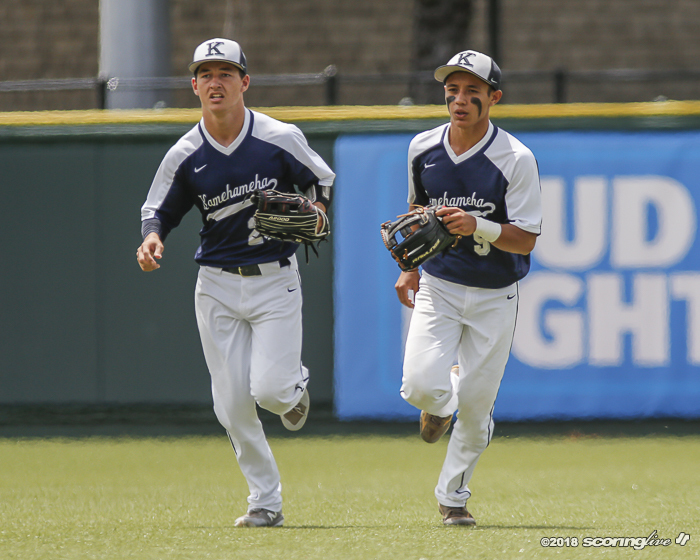 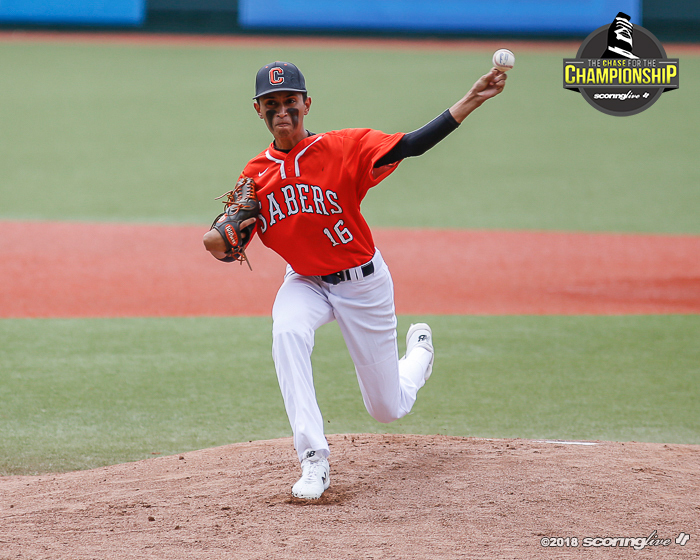 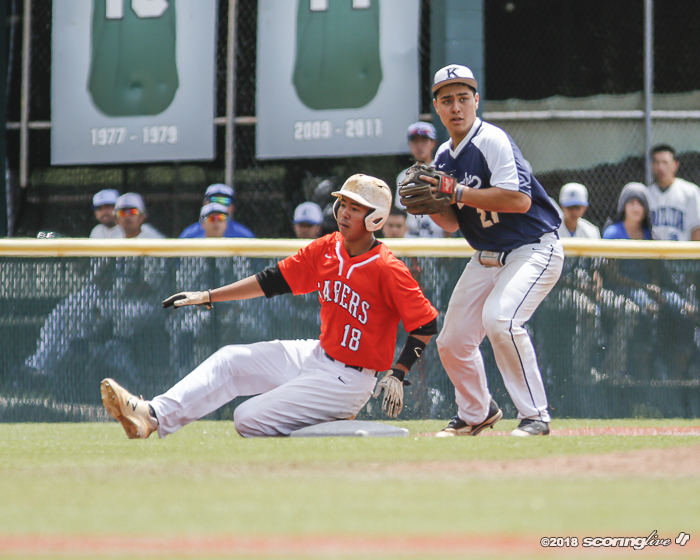 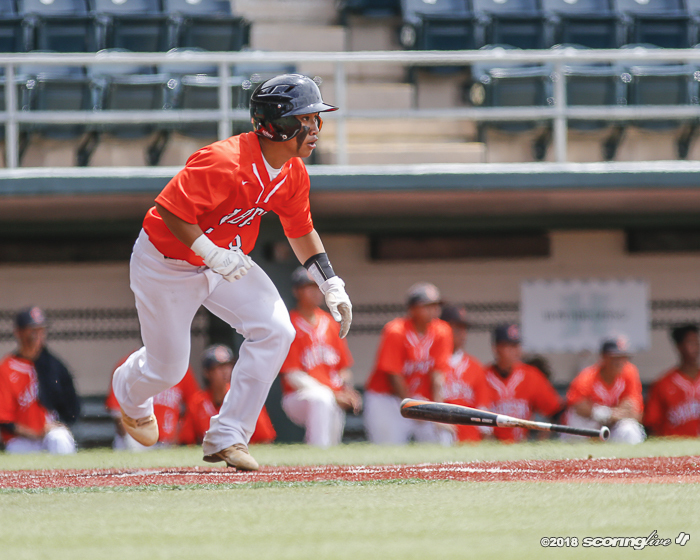 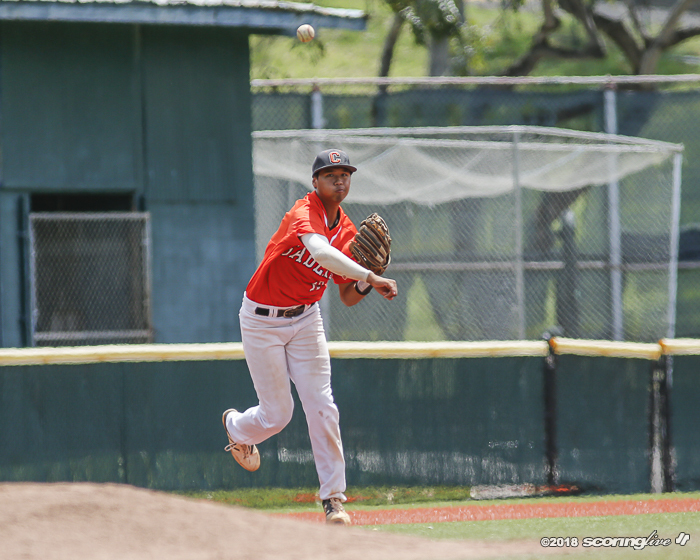 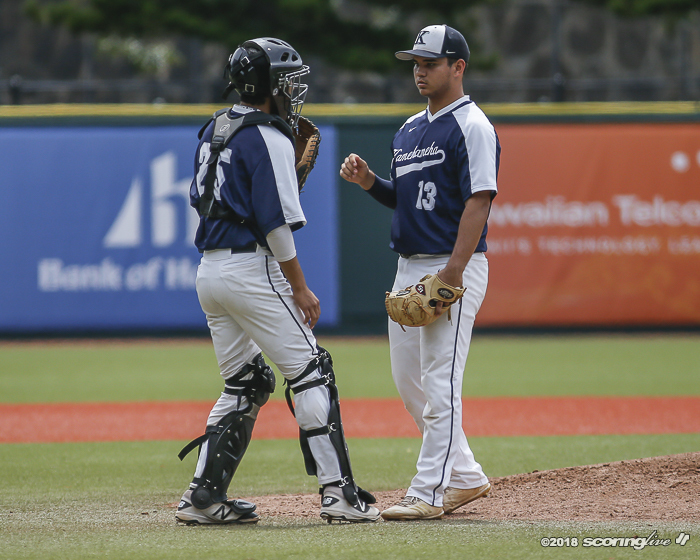 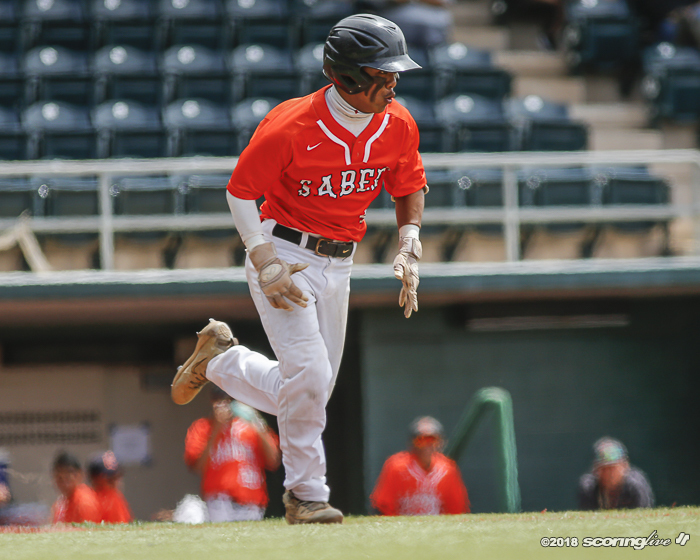 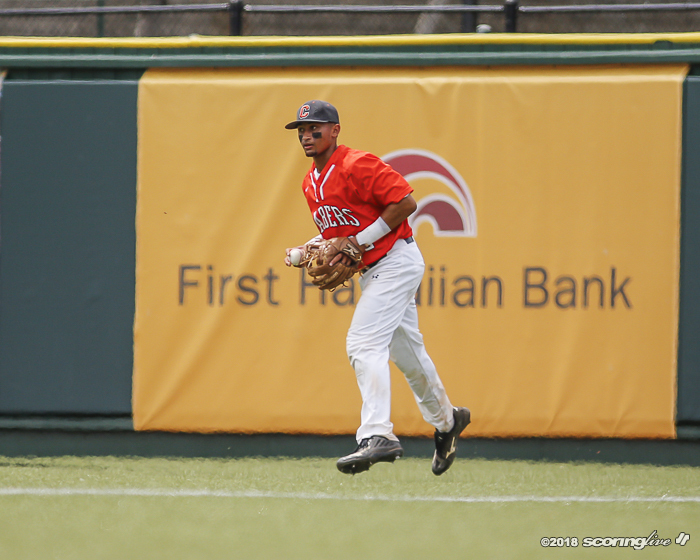 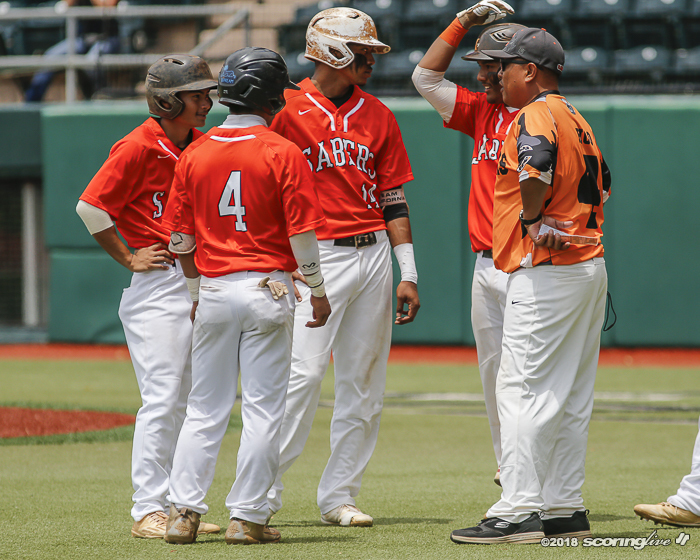 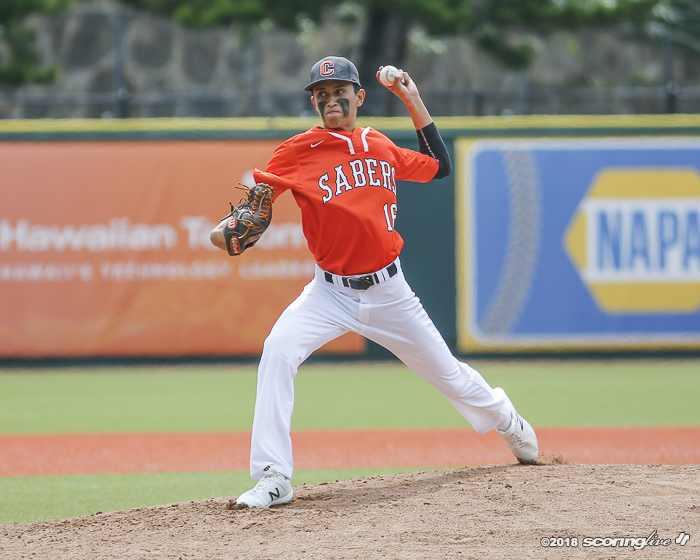 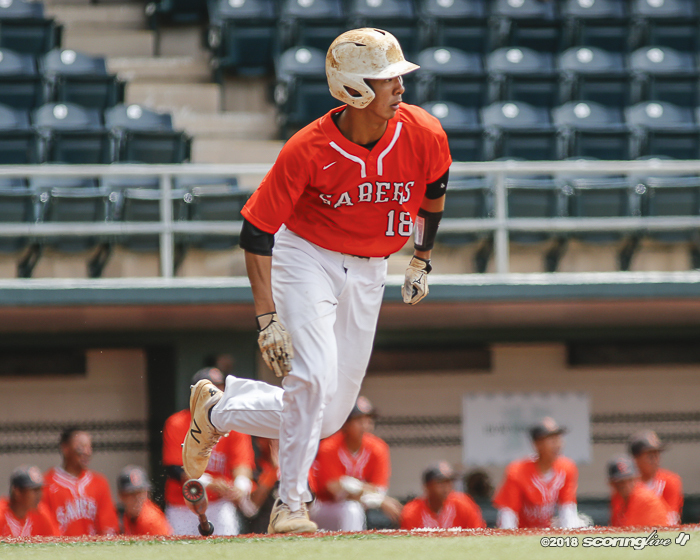 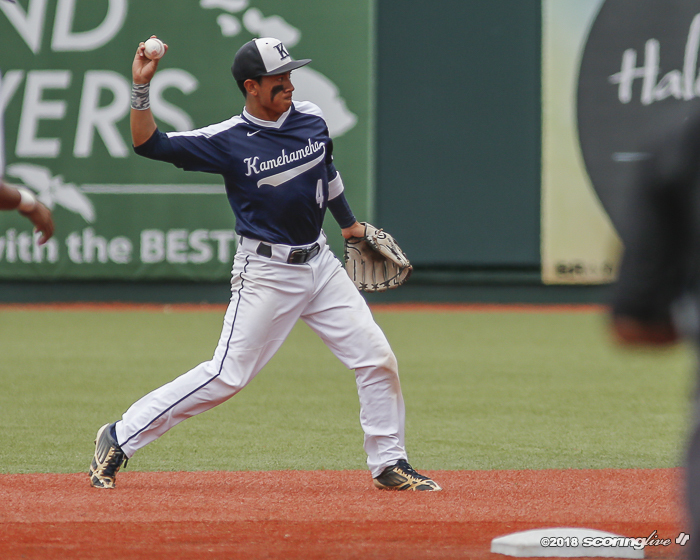 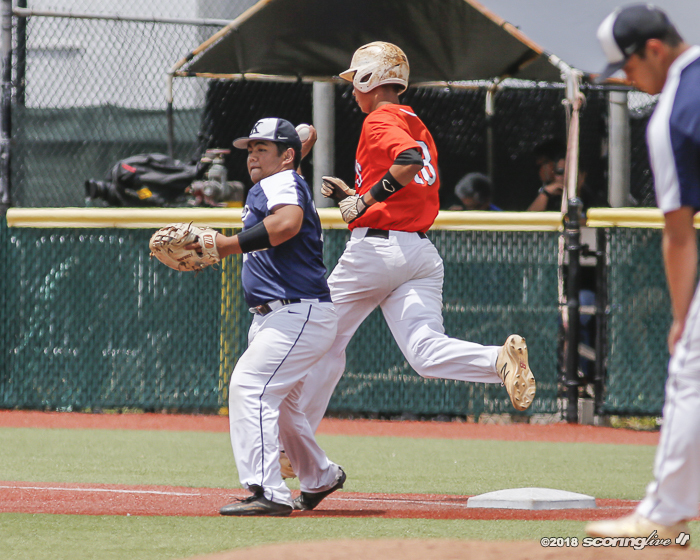 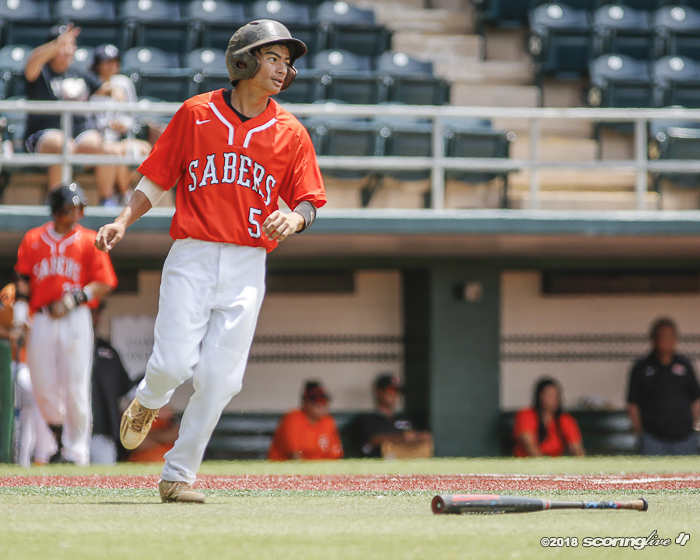 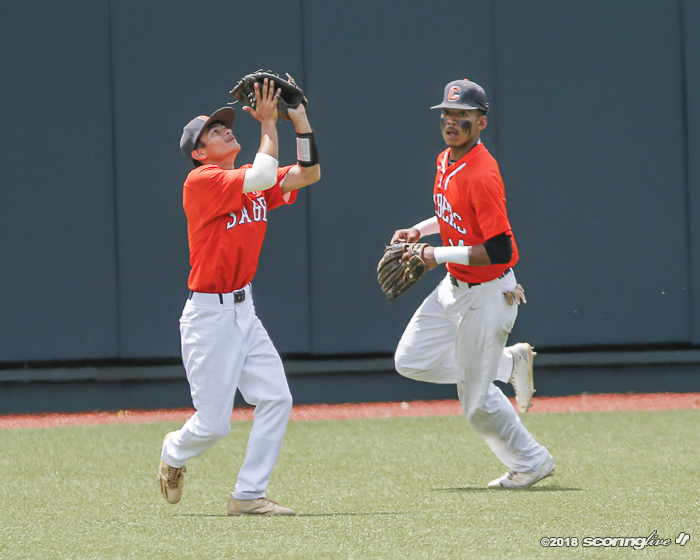 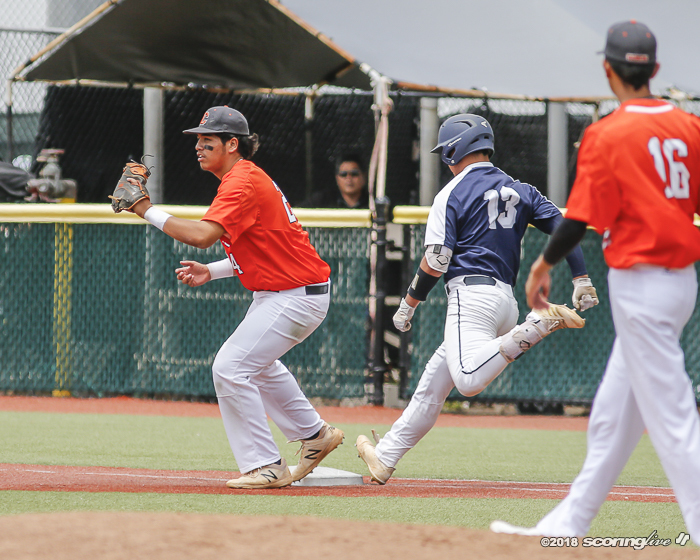 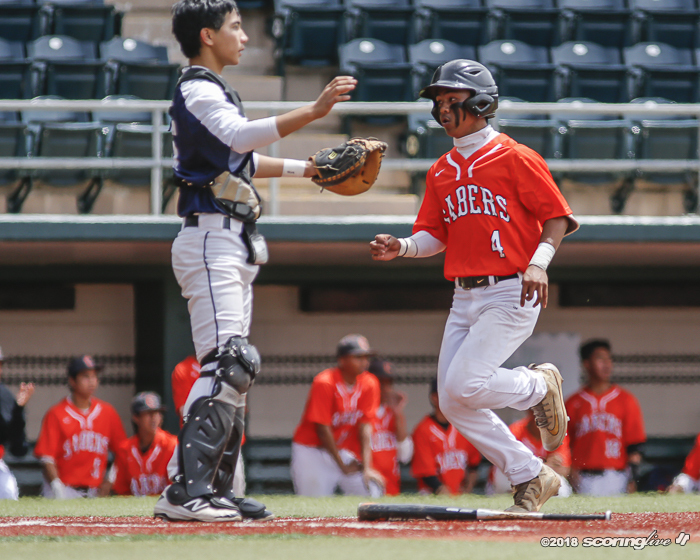 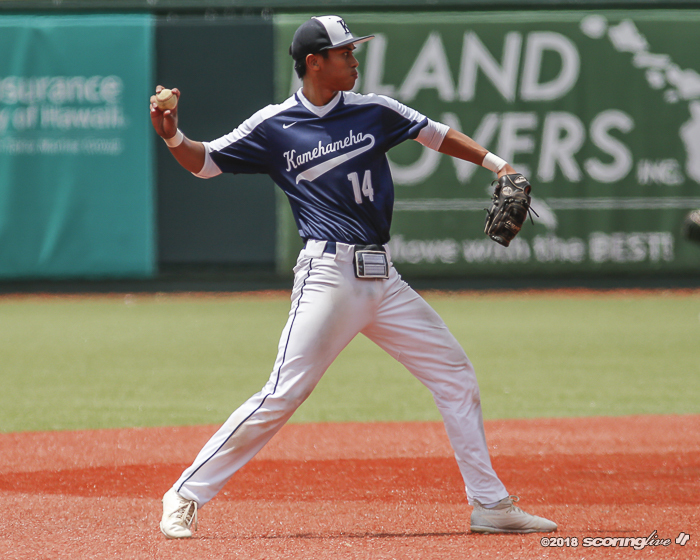 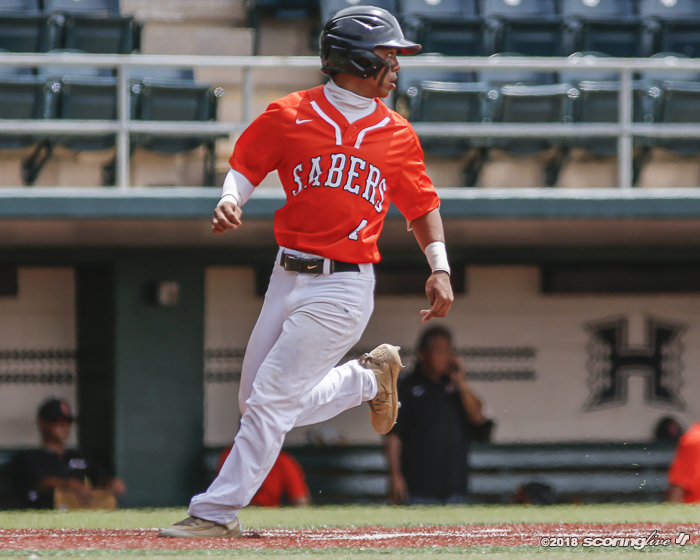 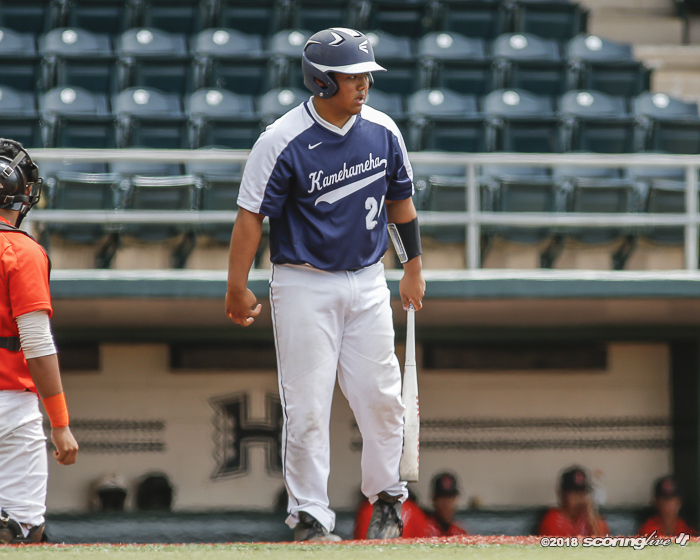 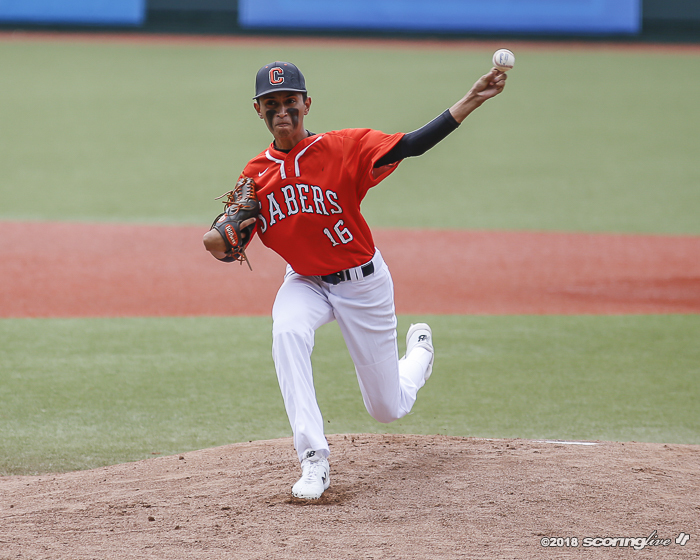 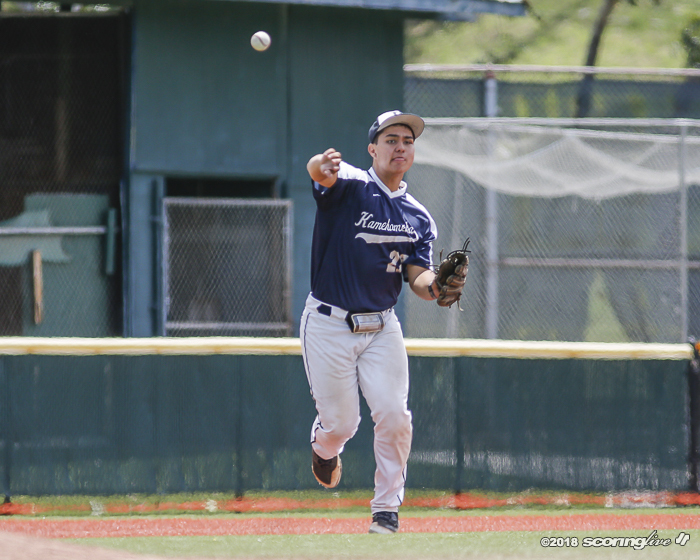 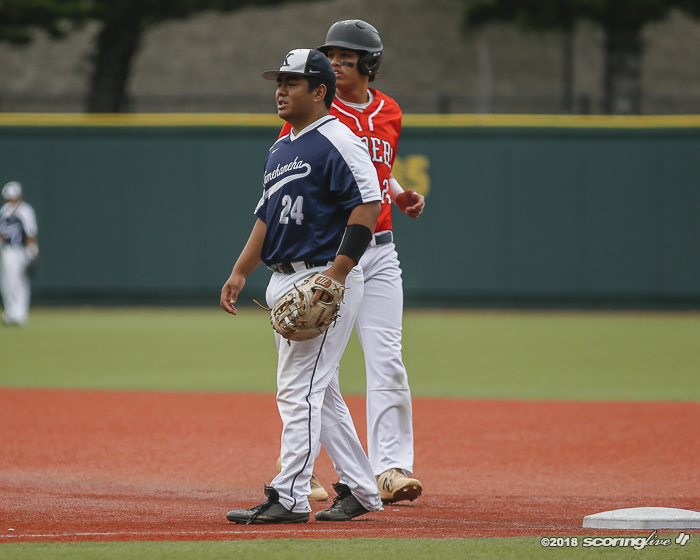 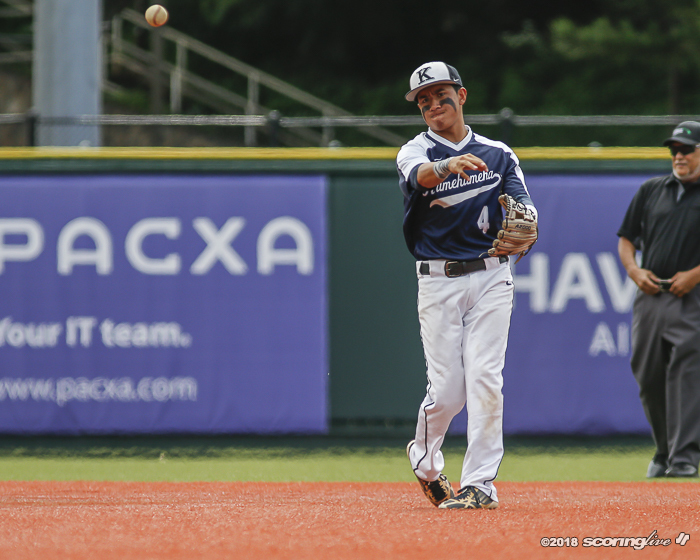 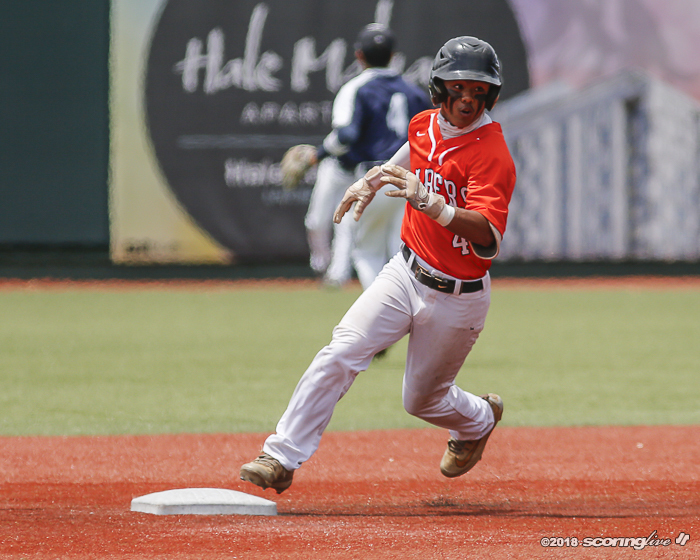 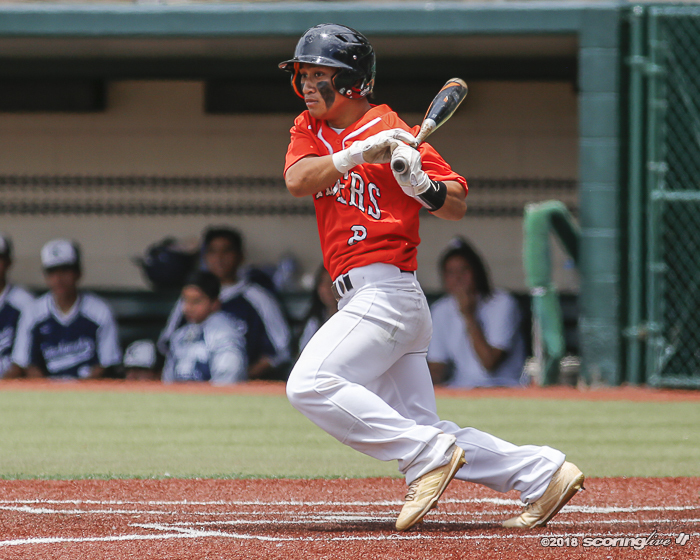 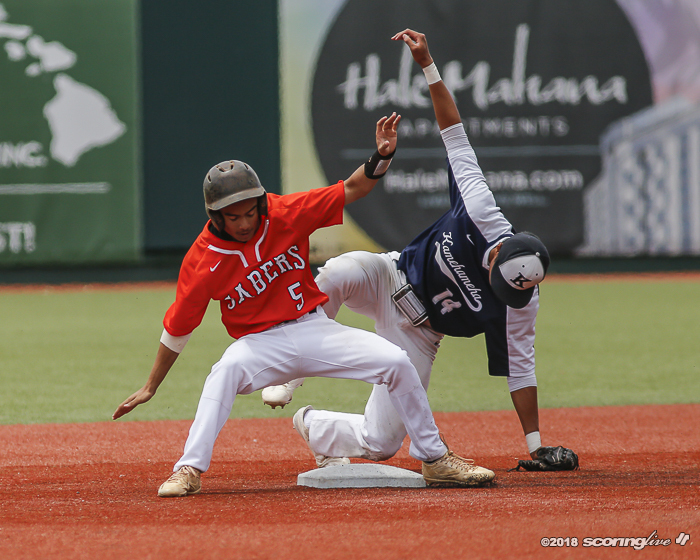 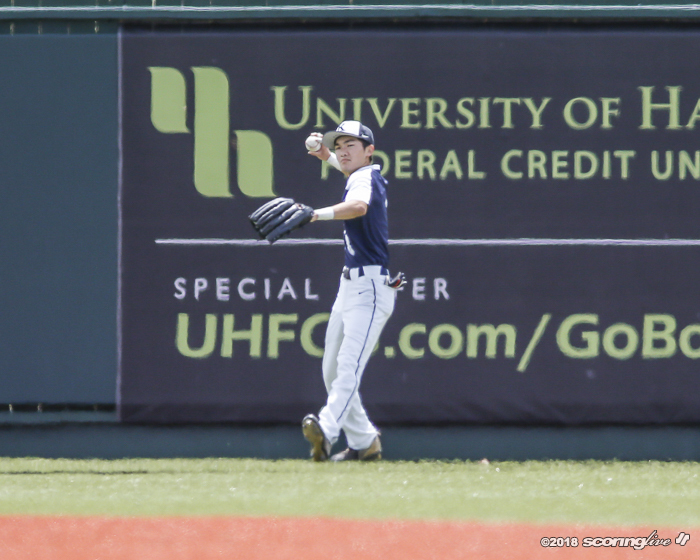 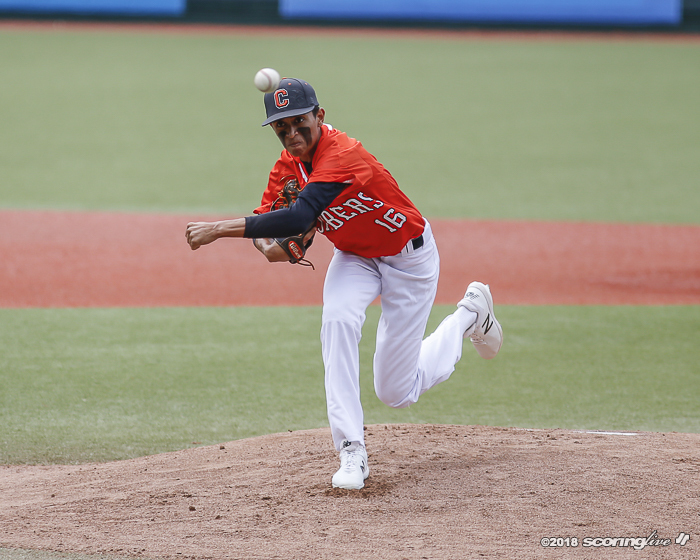 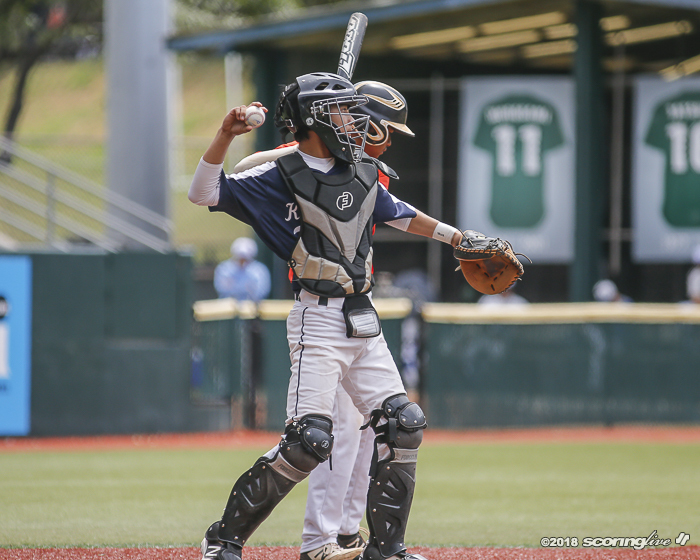 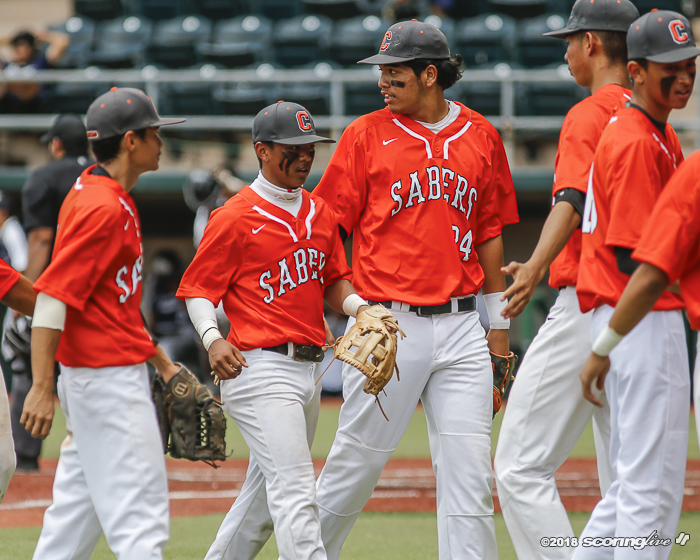 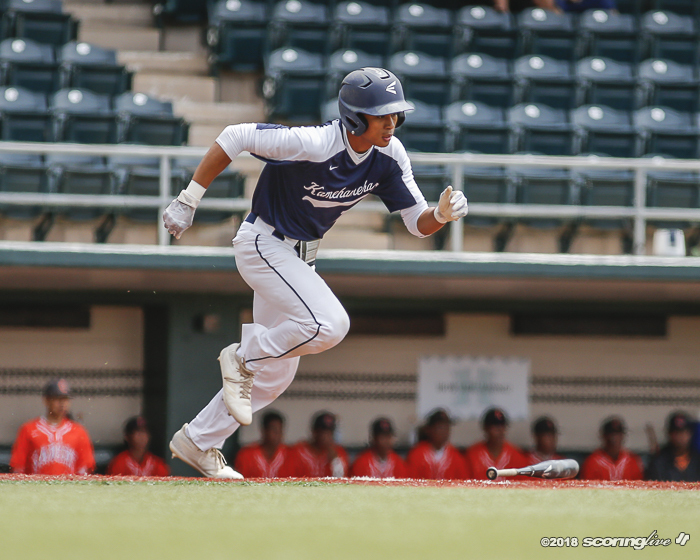 8 Campbell beat Kamehameha-Maui, 3-0, in the opener of the Wally Yonamine Foundation Division I state baseball tournament at Les Murakami Stadium. 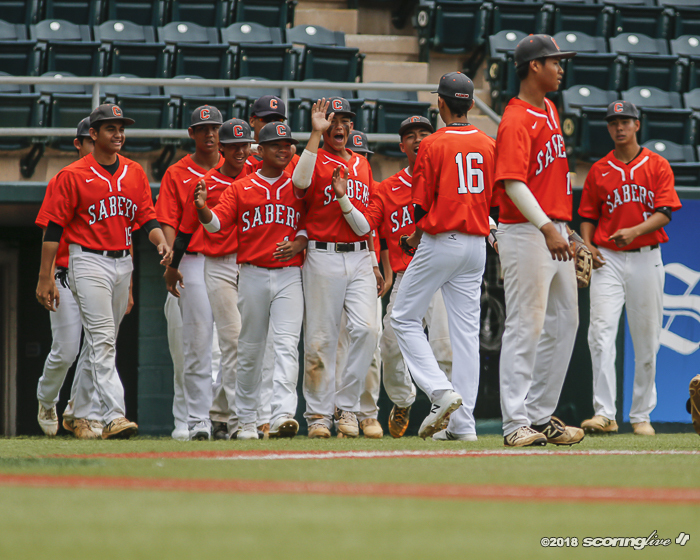 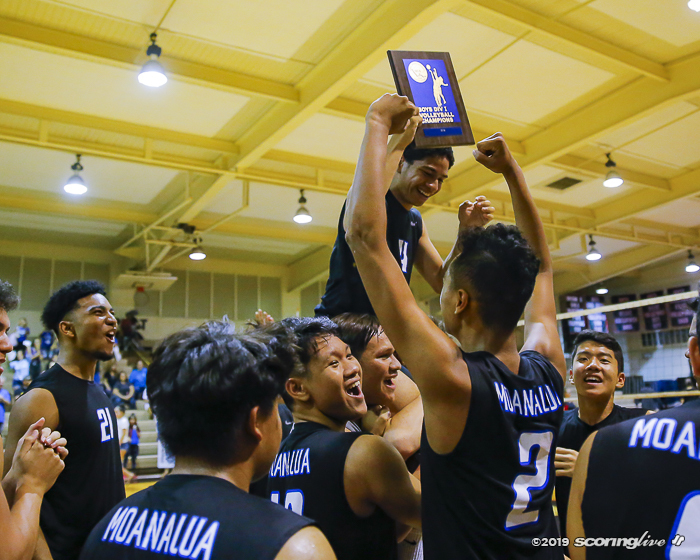 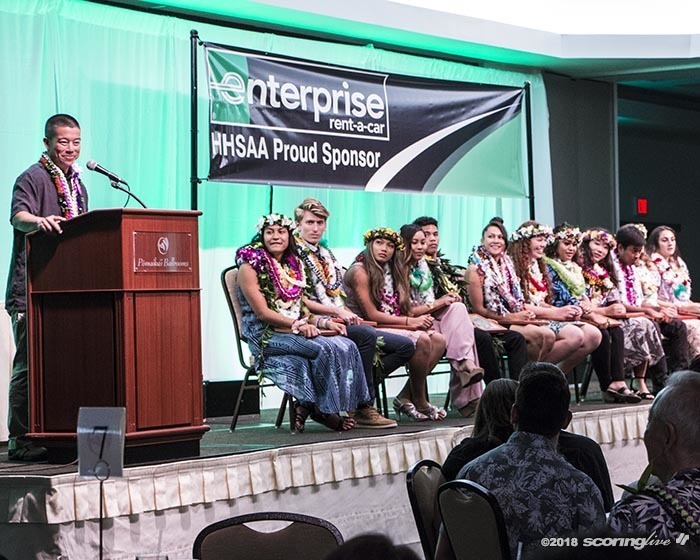 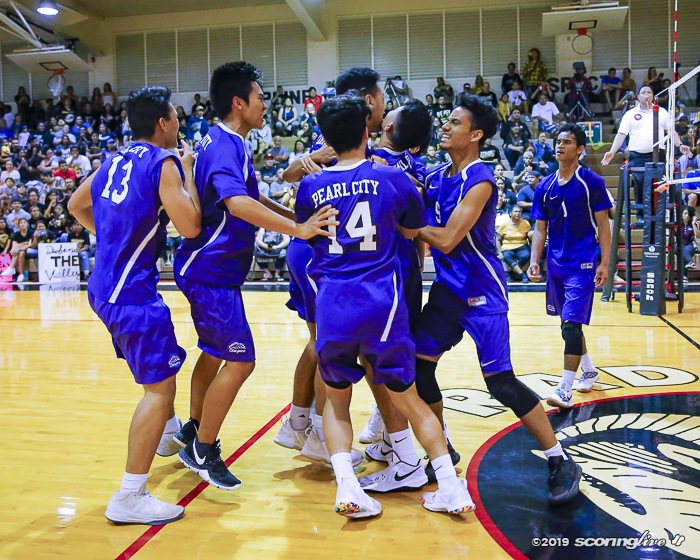 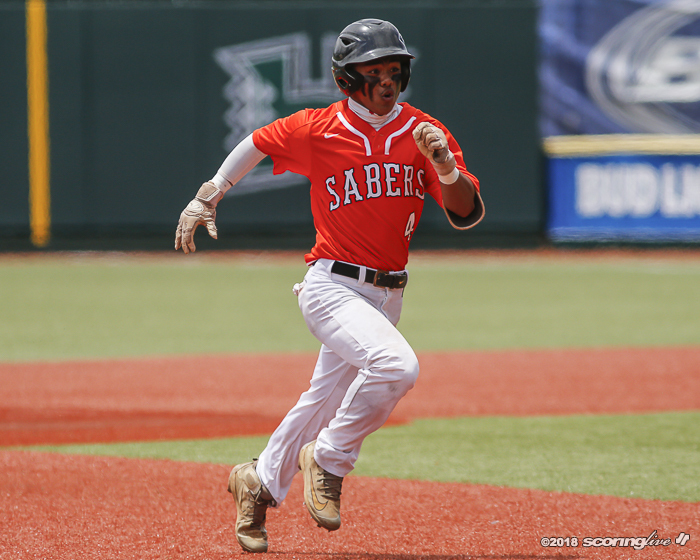 The Sabers (14-2) will play third-seeded Waiakea in a quarterfinal 10 a.m. Wednesday. 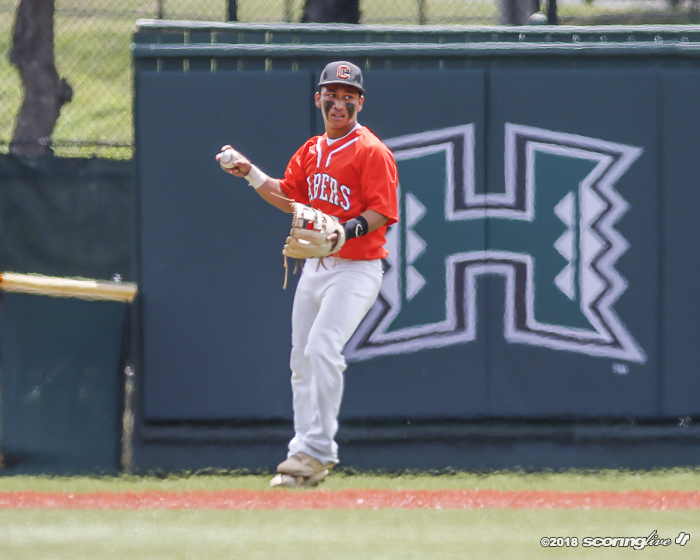 Nathan Facuri managed two of the Warriors' hits off of Silva, who used 77 pitches, making him eligible to return to the mound Friday. 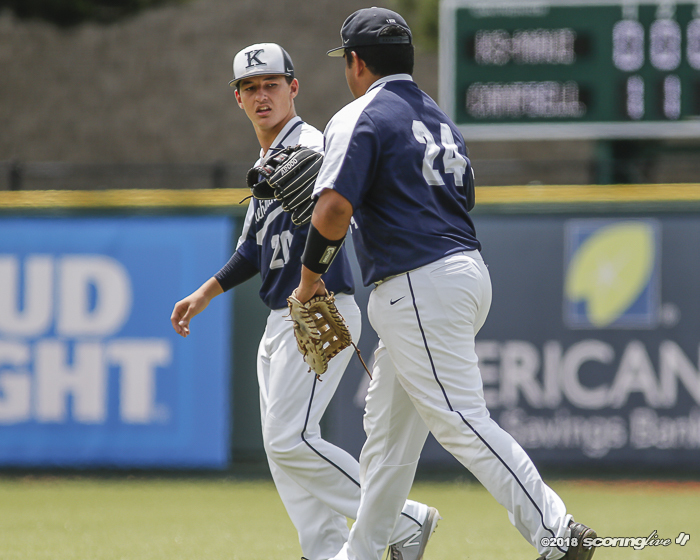 He walked one and struck out two in the complete-game victory for Campbell. 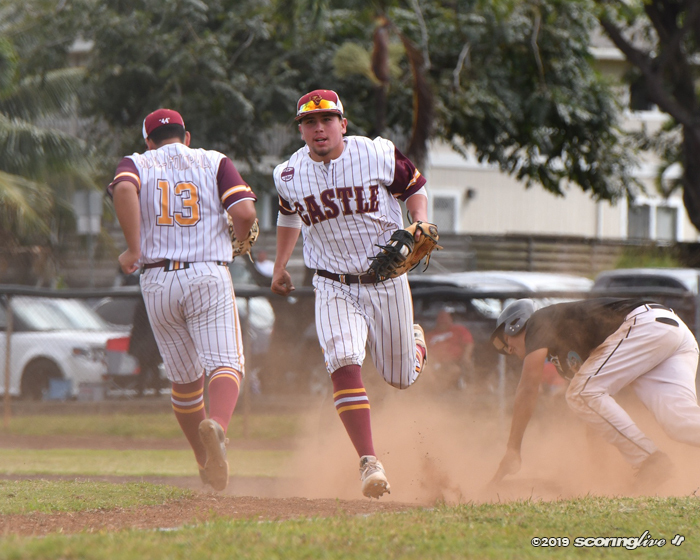 Tristan Catan was charged with three runs, six hits and two walks with two strikeouts in six innings. 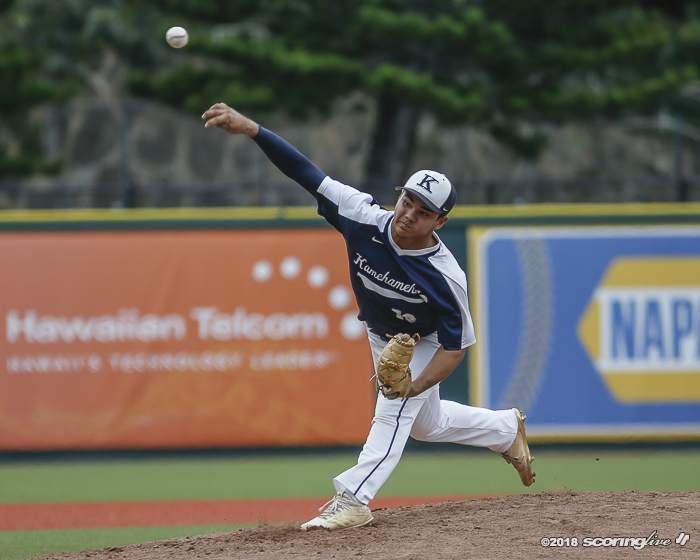 He threw 96 pitches for Maui (10-5). 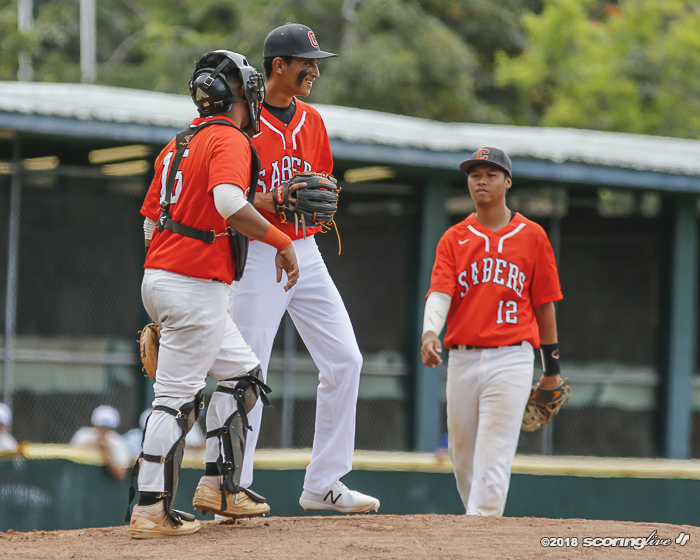 The Sabers jumped on Facuri in the first inning. 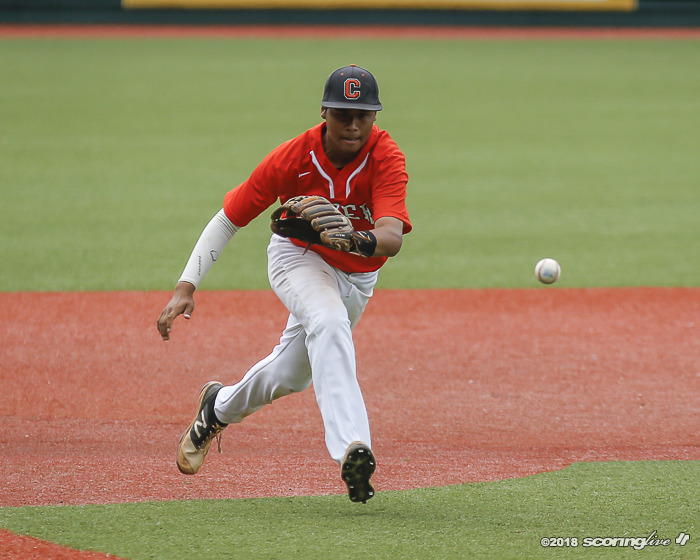 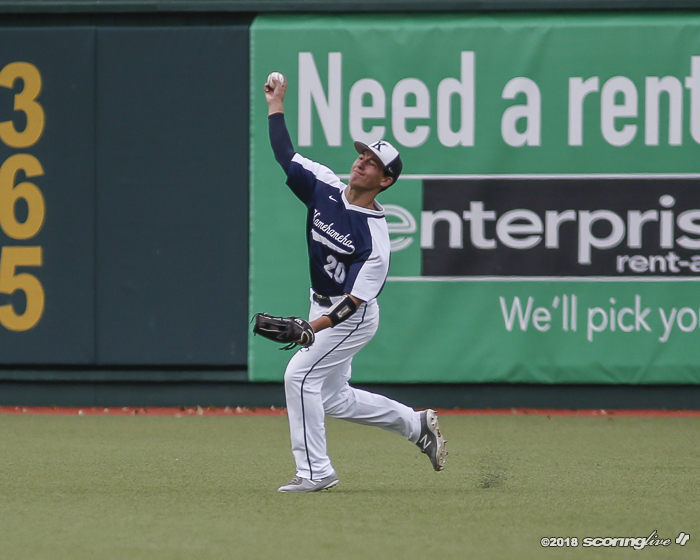 With two out, Nicholas Sampson singled and took third on Roy Clemons-Dias' single to right. 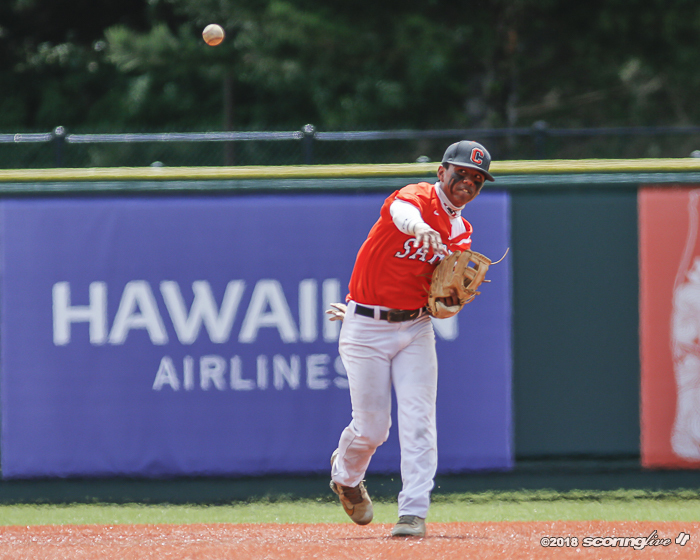 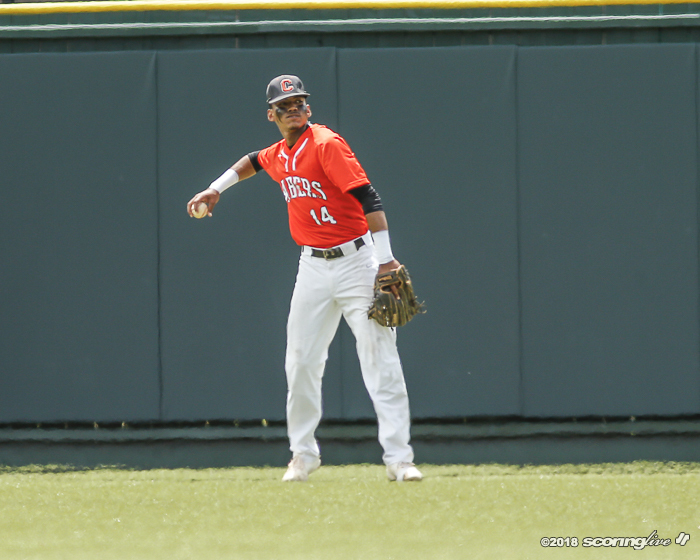 Ansley Isaacs-Acosta hit a chopper wide of first where first baseman Jarin Correa fielded the ball, but no one was covering first, as Sampson scored before Rory Escuadro was called out on strikes to end the inning. 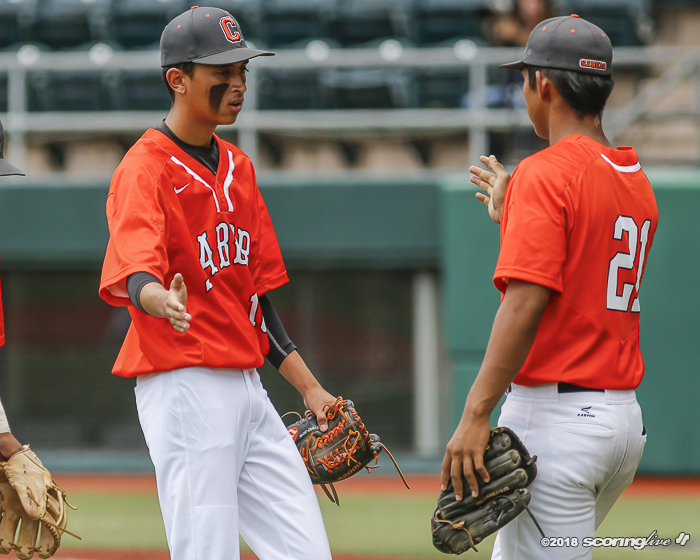 Campbell scored in the second to make it 2-0. 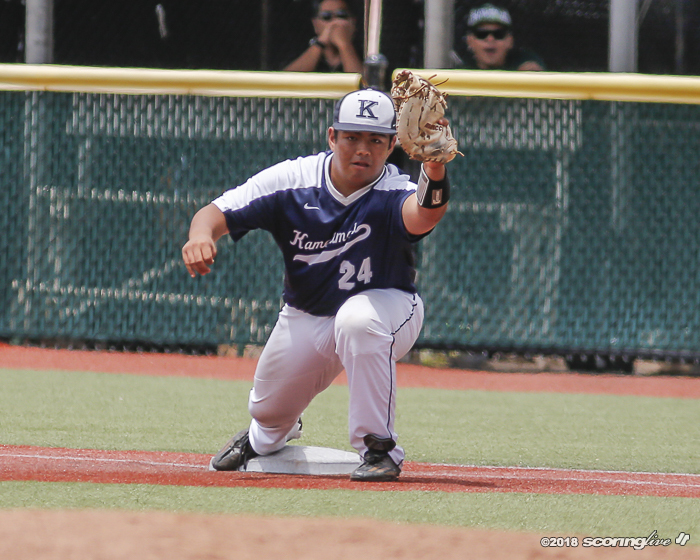 Jamin Kalaola led off with a single and took second when Shayden Sabangan reached on a sacrifice/fielder's choice. 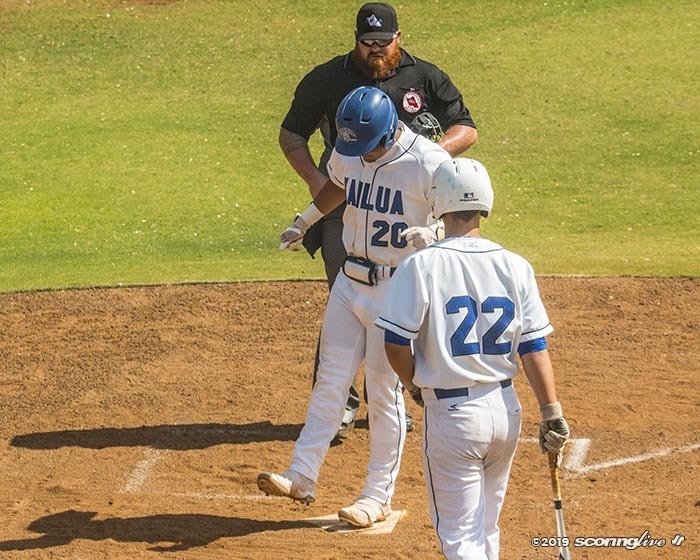 Charles Monell bunted into a force at third and Dylan Ramon flied out to center. 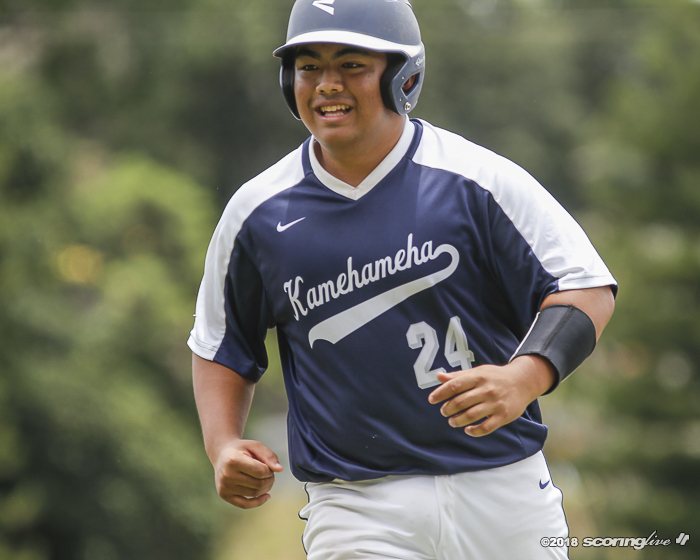 But Ikaika Ganancial's line single to right score Sabangan before Sampson flied out to center. 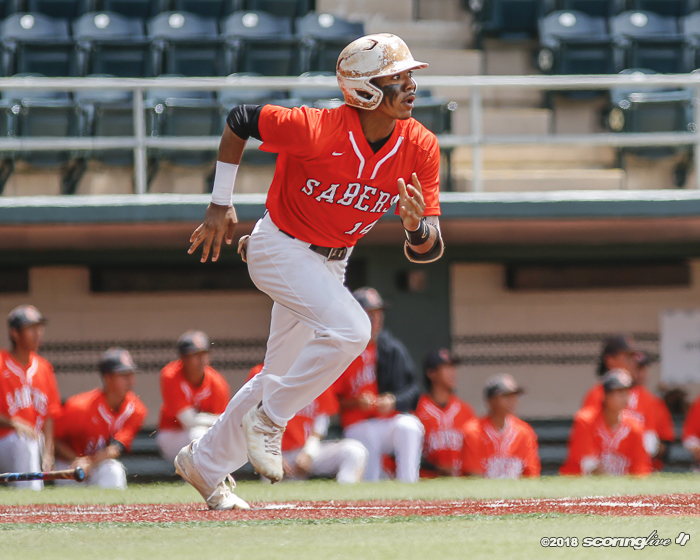 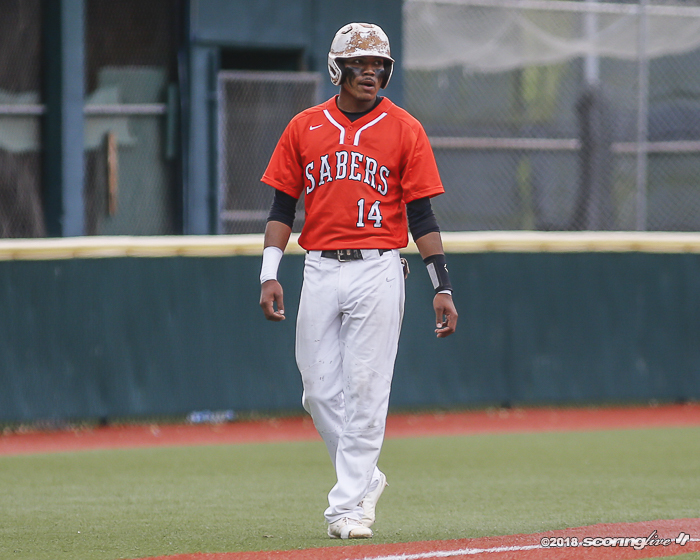 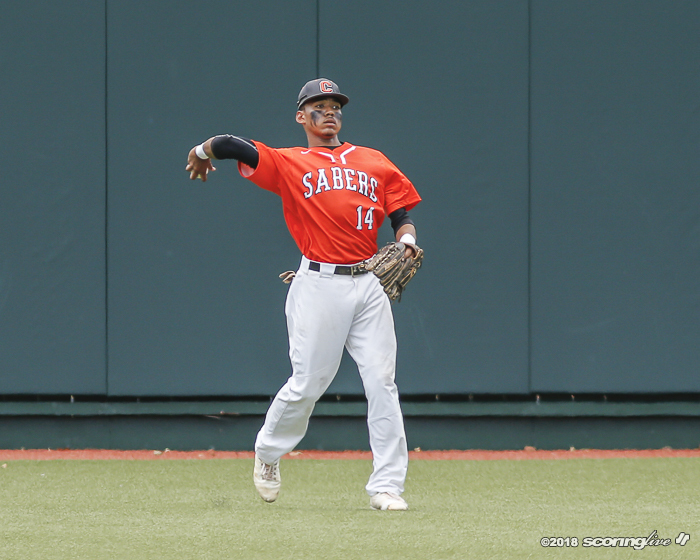 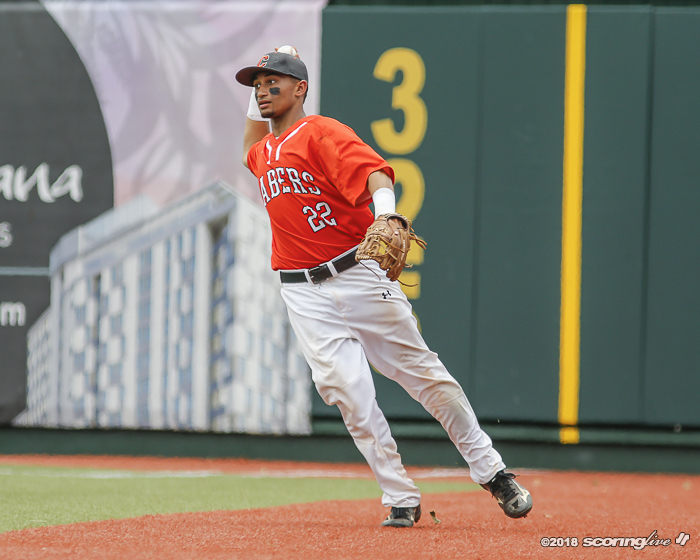 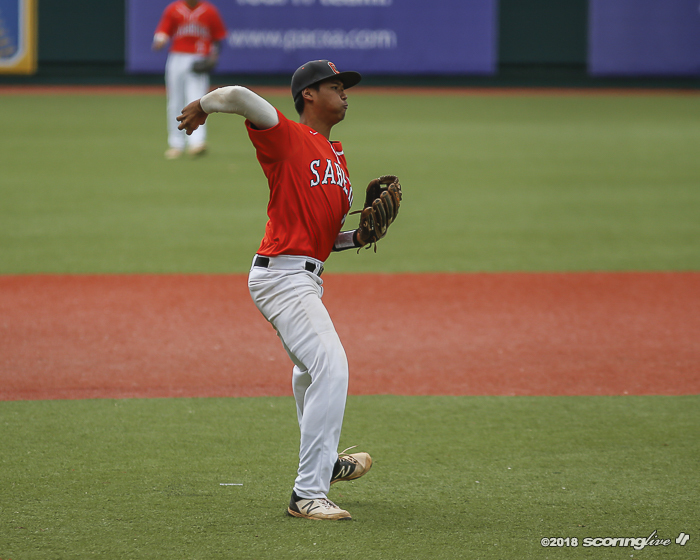 The Sabers added a run in the fourth when Sabangan tripled to right with one out and after a walk to Monell, scored on Dylan Ramon's sacrifice fly to center before Ganancial grounded out to end the frame.